The Life of a Police Girlfriend of a Night Shifter. Here's an idea that encourages safe cooking without fear LO will burn his or her tiny fingers. 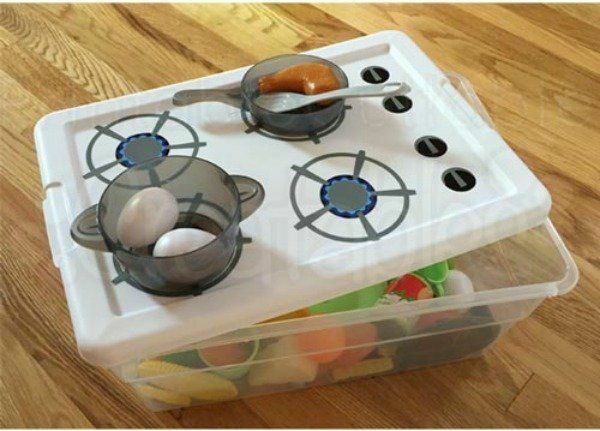 Printable Cuttable Creatables has a super cute DIY toy stove that redefines food on the go. In fact, your child can store all those yummy edibles inside the container (or is that the oven? ).